A crowd of more than 500 people including former Paralympic medal winners watched people with learning disabilities compete in a range of sports at the CMG Athletics Championships on August 27. 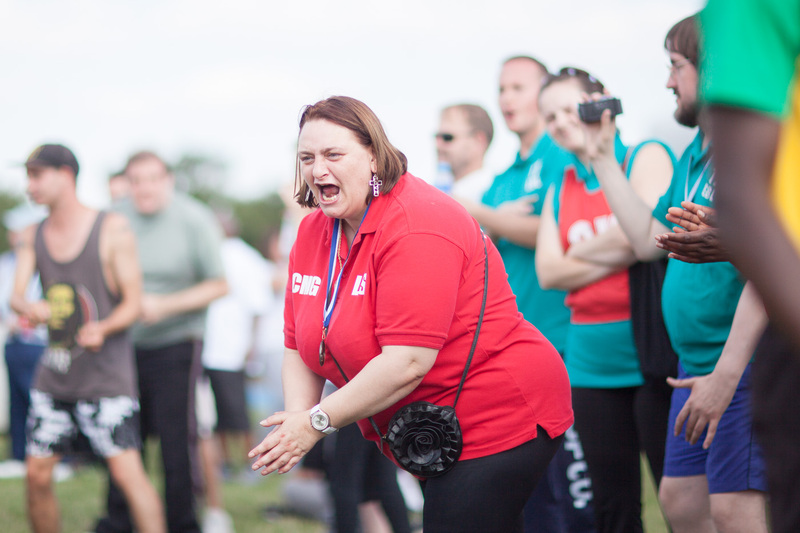 CMG provides residential care, supported living services and domiciliary care for people with learning disabilities and additional complex needs, and its annual Athletics Championships promote healthy lifestyles and wellbeing among service users and staff. With trophies including the Bench Ball Cup and Perpetual Trophy up for grabs, CMG service users from across the country competed in a variety of sports including sumo wrestling, long jump, 50m obstacle wheelchair race and tug of war. Throughout the day Goldie Sayers, who represented the Great Britain at the Beijing Olympics in 2008 and holds the current British javelin record, gave service users her expert advice and tips on throwing events. Meanwhile, Olivia Breen, who won a bronze medal in last year’s Paralympic Games as part of the 4x100m relay, met service users and cheered on the competitors. As well as the competitive sports, there were light-hearted events throughout the day including dance performances and Michael Fullerton, clinical director at CMG, said the event was "a truly special occasion". “The Athletics Championships are something we look forward to, and this year had even more significance as it’s 12 months on from the Olympic and Paralympic games – it’s essential that we build on the progress made during the games and continue to develop the legacy."